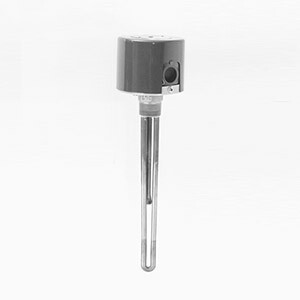 The OMEGALUX™ ARTMS Series Immersion Heaters feature all passivated stainless steel wetted construction, ideal for process solutions with a pH 5 to pH 9 range. Please Note: This integral thermostat functions as a temperature control only. This is not a fail safe device. An approved pressure and/or temperature control should be used with these heaters to assure safe operation.